There are many things to look forward to in Spring Training, but for a sneakerhead, one stands out from the rest. Everyone is getting new gear. Boxes are opened up by the dozens and the smell of new leather from the gloves and fresh cleats permeates the locker room. Rarely, though, does someone open up a box other than a general release in minor league camp. That is until one glorious day, a huge bin is brought over and uncovered. The Hand-Me-Down Box! If you are lucky enough to be one of the first to the locker room it is a first-come, first-serve basis. There are shoes and cleats to the brim, donated to the minor league side from the Big Leaguers. Sometimes there isn’t anything special inside. And then other times there are diamonds in the rough. This year I was fortunate enough to snag a custom Nike Air MVP Pro Metal. This black and white color scheme has black splatters of paint on the toe box. 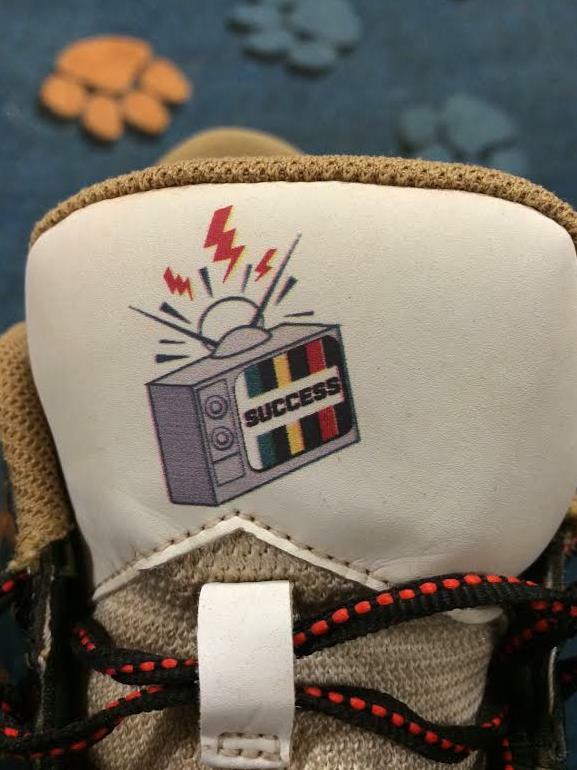 On the tongue it has a rabbit-eared television that says “SUCCESS.” These were likely a special model made for Prince Fielder. 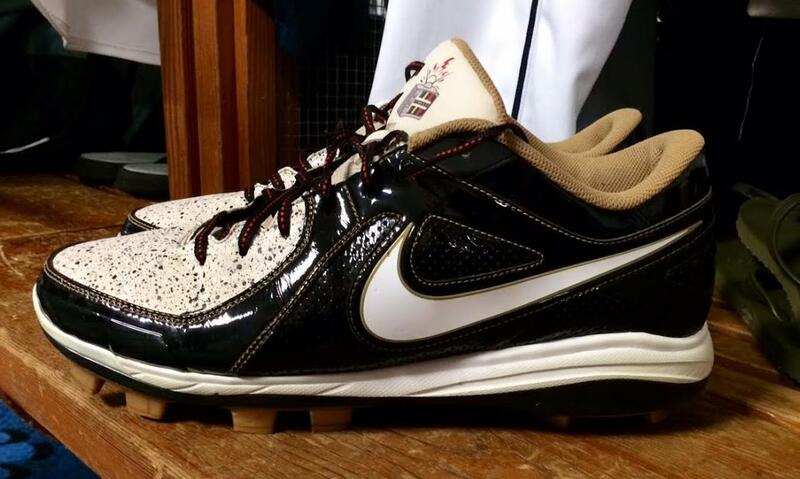 The black and gray cleats are also a pair that Prince left behind with the Tigers and a teammate of mine was able to pick them up. Hand-me-downs sometimes get a bad wrap, but I think we can all agree, Major League hand-me-downs are the best of all. 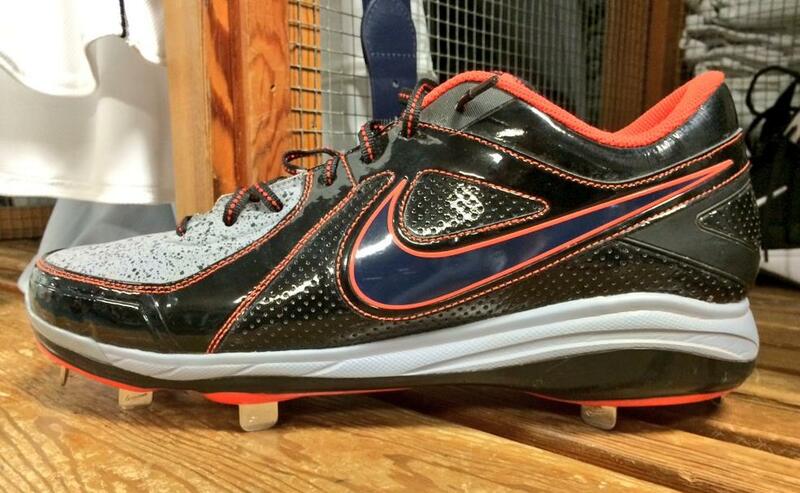 “From Tigers Camp”…keep reminding myself that I should not covet. Prince shoes are amazing.